Grundfos pump seals are applied for all type of rotating equipment, pumps, mixers, agitators and compressors. To suit industries such as general chemical and oil refining, petrochemical, pharmaceutical, food processing, pump, paper and waste water treatment and etc. 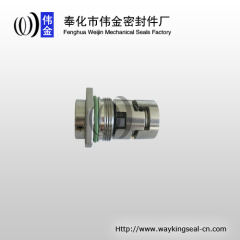 Group of cartridge mechanical seals has been presented above, want more	cartridge mechanical seals and Grundfos pump seal, Please Contact Us.